For the next few weeks, switch your goal from fat-loss to muscle-building. You'll effectively utilize those extra calories and feel less stressed about having a few bites of pie! Oh, joy, the holidays are upon us! Oh, wait, how do I get through the season without packing on 10 unwanted pounds? As if the media senses this widespread dread, airwaves and magazine racks are jammed with tips about which foods to avoid and warnings about keeping on track. The anxiety about gaining unwanted pounds can add to your already high holiday stress level. But it doesn't have to be that way. With a short-term goal change, your holidays can be a lot more cheerful and a lot less stressful. Namely, for the next few weeks, I want you to take a break from your usual fat-loss plans and switch to building muscle. If that makes you a little nervous, remember, the more lean mass you have, the leaner you'll be. It takes a lot of calories to build and maintain muscle mass. So don't fear the gains. Here are four reasons the holidays provide the perfect platform for your short-term muscle-building program! You can't build muscle without a caloric surplus. So if you know you'll be eating more that usual, a muscle-building goal makes a lot of sense. Now, don't be fooled into thinking you can eat a box of chocolates, two slices of pumpkin pie, and all the stuffing you can handle every day because "it's your goal." You still have to exercise control and choose wisely. You want to provide your body with the nutrition it needs to build muscle. For example, a sugar-only diet won't help you gain anything other than insulin resistance and headaches. The holiday season provides a chance to reset your yearly goals. 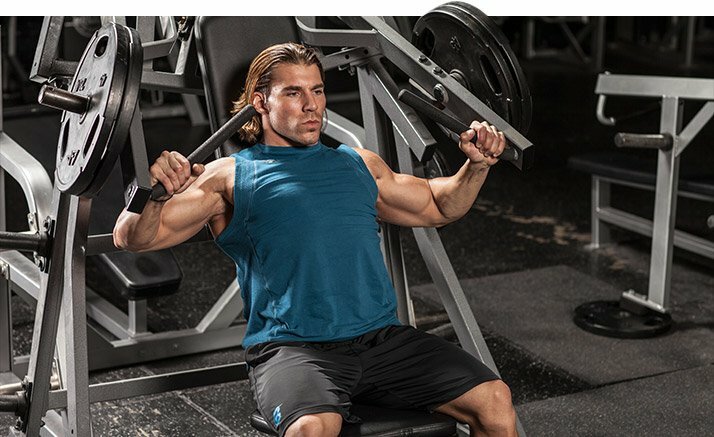 Instead of a holiday binge, do a controlled bulk! Enjoy the protein and social interaction. Depending on your family traditions, dinner can be a glorious, meat-heavy affair. Both turkey and beef provide all the amino acids you need for muscle building. Beef provides more iron and creatine, but turkey has less fat and cholesterol. Whichever meat is on your plate, a heaping pile of protein means you may not need your usual casein shake before bed. If you're going to over-eat, doing it with protein-laden meat is probably the best choice. If you're trying to build lean mass, you can't skimp on the carbs. Carbohydrates are an absolutely essential piece of muscle-building. Carbs are your body's fuel source; they support muscle growth, prevent muscle break-down, and taste good to boot! A scoop of mashed potatoes and a little butter will provide the energy you need to work out hard and recover faster. Potatoes are clean carbs and the fat in the butter will help slow the absorption rate so your blood glucose doesn't spike, prompting a large insulin secretion that may lead to a subsequent crash and fat storage promotion. With the holidays come some vacation days for many people, so use this extra time to hit the gym more frequently. Now, that doesn't mean go to the gym for three hours and chat for five minutes between sets. More important than the time you're in the gym is the intensity with which you train. What's great about having some extra time is that you can make those intense training sessions more frequent. Instead of only getting in three workouts during the week, you can do four or five. That extra training, coupled with extra calories, can pay off in muscle mass. If you have extra time, don't waste it. Steal an extra workout or two each week and you'll put some extra happy in your holidays. I suggest utilizing a split that will challenge your body with an upper-body push emphasis on day one, an upper-body pull emphasis on the second day, and a leg emphasis on the third. Take a rest day, and then do it again. While full-body programs like the 5X5 regimen can also be effective for building mass, leave those for the busier times during the year when you only have a few days per week to train. If you have family or friends in town, bring one of them with you to the gym. Invite one of your more fit cousins for some extra motivation, or ask dear ol' dad if he'd like to join you for some bonding time. Spread the fitness cheer! The time off from work may also allow you some extra sleeping and relaxing time. You can push your body as hard as possible when you're in the gym because you know you get to go home and put your feet up. Don't worry about "feeling lazy." Many of us spend too much time buzzing around without much rest. Enjoy the time off you earned and allow your muscles to recover and rebuild. 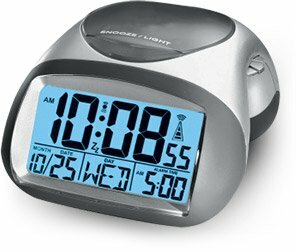 Try to grab an extra hour or two of shut-eye. Aside from being essential for the cellular health and hormonal balance in your body, sleep is necessary for building muscle. Human growth hormone is at its highest levels when you sleep and chemicals like dopamine and adrenaline—which you use for intense training—are mostly replenished at night. For some people, sufficient sleep is a luxury they can't afford. Unfortunately, sleep debt has many negative impacts on the body. It may actually decrease testosterone and increase the catabolic hormone cortisol1, two side effects no bodybuilder wants. That means it's much, much harder for your body to build muscle. So use the holidays to spend some time catching z's. You can do your body even more good by scheduling your meals to fit your training schedule. Doing this isn't always possible when you're on a strict work schedule, but time off from work allows for changes to your normal schedule. Structure your meal plan so the bulk of your calories enter your body around your workout. 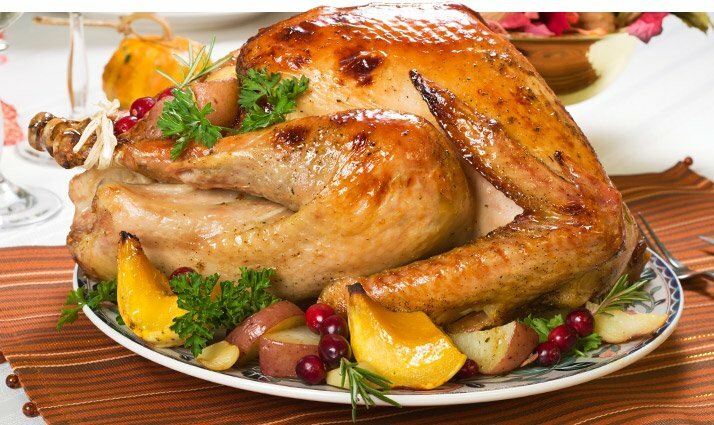 If you know you have a larger holiday meal that day, hit the gym for a heavy legs session right before you eat. After a hard workout, your glycogen levels will be lower and primed for refilling. Your muscles will also be tired and broken down. They need protein and carbs to rebuild. Structure your meal plan so the bulk of your calories enter your body around your workout. Your glycogen levels will be lower and primed for refilling. This is the time when it's OK to consume enough carbs to produce an insulin spike. At this juncture, rather than promote fat storage, an insulin spike will help move carbs into the muscle, accelerate carbohydrate resynthesis, and help your muscle tissue to repair. If those holiday treats like cookies or brownies won't stop calling your name, eat one right after a tough workout. The sugar will help refill your lower glucose levels. It's also smart to fuel your workouts. Whole, healthy food can help you train with intensity and focus. You'll have the energy to completely demolish your workout and the security of knowing that you have a great meal to come back to when you're done. By making this change to your fitness goal, you won't have to enter this holiday season with dread. Instead, you can welcome it knowing that you will be using excess calories, time, and flexibility to your advantage. Rather than trying to avoid everything and everybody you're worried will influence your fitness level, you'll be able to relax and enjoy this special time of year. You can always return to your regular fat-loss program after the holidays. Dattilo M, et. Al. (2011) Sleep and muscle recovery: endocrinological and molecular basis for a new and promising hypothesis. Medical Hypotheses: 77.2, 220-222.